A demonstration against corruption outside the National Palace, Guatemala City, June 11, 2016 (AP photo by Moises Castillo). 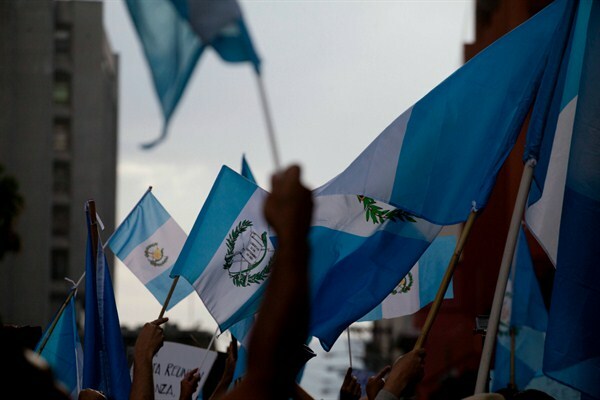 The governments of Guatemala, Honduras and El Salvador in Central America’s so-called Northern Triangle have been under considerable domestic and international pressure to address rampant corruption since high-ranking officials were exposed in 2015. How did they fare in 2016?